As the measles for children debate continues to rage, some parents are throwing more fuel on the heated discussions by using Facebook to expose their children to contagious diseases. 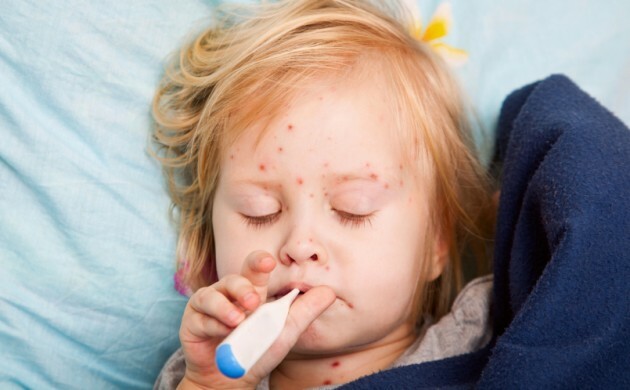 According to the magazine Vores Børn, parents are – via closed groups on Facebook – trying to get into contact with parents of children who have been infected with illnesses such as measles and chickenpox. That way, the parents can avoid giving their children the MMR (measles, mumps, rubella) vaccine. But that could be dangerous, experts maintain. “It’s a really bad idea because the current MMR vaccine is designed to give the recipient as mild a form of the illness as possible while still giving them immunity to illnesses like measles,” Allan Randrup Thomsen, a researcher of viral infections at the University of Copenhagen, told DR Nyheder. Thomsen went on to warn that measles was a serious illness not to be taken lightly. Measles can at worst lead to permanent disability and death. It is estimated that about 87 percent of all children in Denmark have been given the MMR vaccines 1 and 2. According to the State Serum Institute, at least 95 percent of the children must be vaccinated against measles in order to completely eliminate the risk of a large epidemic taking place.